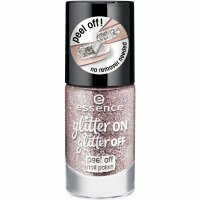 #PeelOff Glam Nail Polish by Catrice. Peel Off nail polish. 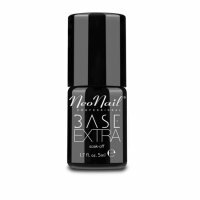 It quickly gives nails a spectacular, shiny and glittery finish. Additionally, thanks to a special formula it stays much longer than other products of this type. For the best results, the polish has to be applied twice on the plate and dried very well. You do not need a remover to remove it, just like in typical peel off masks, slightly lever up and pull. Available in many fashionable shades. It has a shiny glittery finish. It does not require a remover to download. - 04 Girls Bite Black - black iridescent on silver.